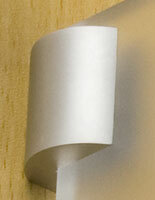 Holds signs perpendicular to walls for high visibility. 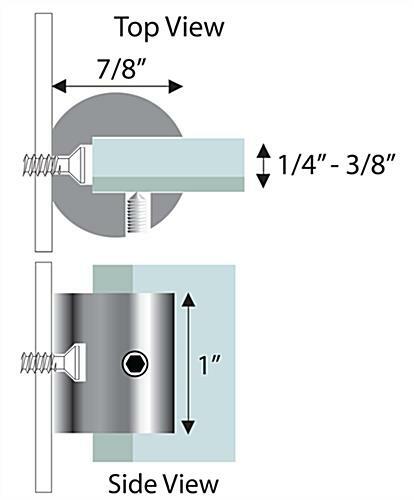 7/16" bracket for 1/4" - 3/8" thick sign panels. Chrome finish gives signage an upscale look. These stand off brackets, also known as display fixtures, are perfect when venue mapping or education signs need to be hung. The rounded mounts are able to hold signs at perpendicular angles for all people to see. The stand off brackets are sold in units of two per order, which will hang one display. 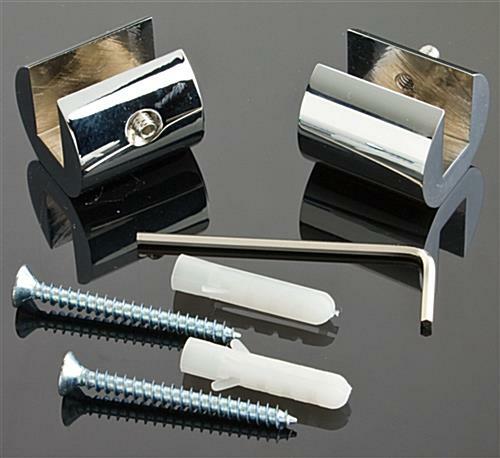 Clients are able to see signs that are mounted using these versatile fasteners from far away because of the angle used. 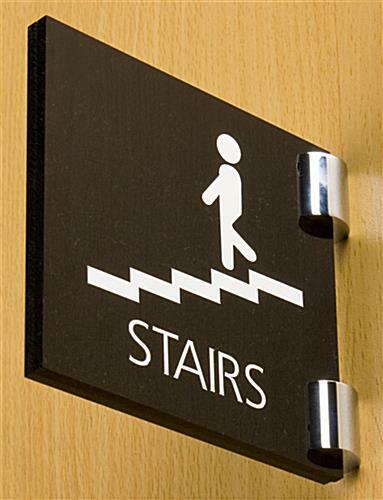 The stand off brackets are perfect for having signage easily visible in a hallway or walkway. The display hardware is a professional way to showcase displays at 90° angles.